'I committed a Happening' is a lecture performance especially created for this occasion at the Maagdenhuis, that tours some of the works of a generation of artists in Argentina during the 1960´s who understood artistic practice as a form of action towards a social change. Mercedes Azpilicueta (AR) is a visual artist and performer currently in residence at the Rijksakademie van Beeldende Kunsten in Amsterdam. Open discussion around art, theatre, democracy, autonomy/heteronomy, academy, university and how to reclaim the commons (air, water, land, food, care, education, culture, art) from 'capital'. Moderator: Charles Esche. Charles Esche is the director of the Van Abbemuseum in Eindhoven. "Today we are faced with a discourse that looks like a carcass, one that is on the brink of death if not dead – so what must we turn to? We must turn back to life, we must search out the real of life in the depths of the critique of this weakened, dying discourse...." " ....The only true resource is thus situated at the level of the body." Alain Badiou . Lecture performance by teacher, writer, curator Clare Butcher, lecture by theorist Klaas Tindemans, talk by filmmaker Anja Kirschner. These lines mark the start of the notes by Bertolt Brecht and his collaborators for Mahagonny, songspiel turned 'culinary opera' in the late 1920s. Under a cloud of rising nationalism and budget cuts (sound familiar? ), Brecht sought ever new means of deconstructing the falseness of theatrical production - attempting to transform it into a pedagogical and social movement. The lasting effects of these epic attempts can be seen in all sorts of practices today. Over 20 minutes, we'll get culinary, explicit, even literal at times, becoming ever aware that we are in an auditorium, engaging in a presentation about someone, who knew something, about the taste of desire. In The Messingkauf Dialogues, written in exile during the 1930s, Bertolt Brecht deals with the art of acting in a society, threatened by crises, revolutions and totalitarianisms. A group of theatremakers spends four nights together, talking about things like ‘how to portray a little Nazi’, but they also do exercises, all aimed at the removal of illusion and empathy – attitudes of bourgeois theatre. Brecht, playwright and (Marxist) theoretician, wants a theatre for a new age, for new people and he puts into practice, writing, directing, theorizing. With The Messingkauf Dialogues, theory is not a dry treatise or a screaming manifesto, and playing is not just fun or a noncommittal artistic utterance. Theory and practice meet each other in conversation. Reading The Messingkauf Dialogues is a perfect occasion to introduce basic notions of Bertolt Brecht’s vocabulary: Verfremding (‘alienation’), Historisierung (‘historicization’), Gestus – untranslatable. Together we will read some fragments. As an epilogue, Tindemans will show (video) examples of contemporary practices which are unthinkable without Brecht’s legacy: the theatre of Christoph Marthaler and the performances of Christoph Schlingensief. Anja Kirschner will present an introduction to The Empty Plan. Shifting between documentary, historical reconstruction and melodrama, the film interrogates the relationship between theory and practice in the theatre of Bertolt Brecht. Set during Brecht's period of exile in Los Angeles, interrupted by flashbacks to a time before the war, the story is structured around tensions between Europe and America, and between his wife Helene Weigel and his collaborator and lover Ruth Berlau. These tensions, though real enough in their own right, are shown also as related to a process of creative introspection and the film draws on two of Brecht's works: The Messingkauf Dialogues, which considers the possibilities of ‘committed art’ and The Mother, a play concerned with the process of emancipation and radicalization of a working class mother. The Empty Plan reflects on conflicting personal, artistic and political ambitions, raising questions about the nature of art and the unrealised dream of its substitution by revolutionary practice. Beamclub screening: Society of the Spectacle by Guy Debord with a voice-over by artist Paul Chan (2013) (87min). In book his 1967 book The Society of the Spectacle and his 1973 film of the same name the French intellectual Guy Debord criticizes capitalist society in a series of brief theses. In his text The Emancipated Spectator Jacques Rancière, one of today's leading French philosophers, reveals how the idea that in our consumer culture audiences are bound to passively absorb art and culture, has led contemporary artists and theatre makers to a variety of attempts to activate their audiences. The spectator would thus become an 'emancipated' member of the cultural community. But Rancière offers a radically different perspective on spectatorship. Since Rancière's books are written in French, most of us need to read them in a translated version. Today nearly all texts of any importance are widely available in English - the 'lingua franca' of our globalized world. Why then, would someone dedicate all her time and passion to the contextualization, publication and dissemination of seminal theoretical texts (like Rancière's The Emancipated Spectator), translated in her mother tongue which is shared by not more than 23 million speakers worldwide? Guy Debord is one of the most provocative figures of 20th century art, politics, and theory – also and because of his insistence on the unity of these three different forms of intervention. Being at the very center of the Situationist International and an influential avant-garde filmmaker, his importance for the recent history of art can hardly be overstated. Debord’s position, however, leaves a number of questions open. One central problem concerns the possibility of social critique. According to Debord’s theory of the spectacle individuals are alienated from their own lives, blocked from socially meaningful practice. This opens up a number of questions: How can alienated individuals possibly reclaim their political power? How can we politically intervene and build alternatives if the ‘spectacle’ deprives us of this capacity? By recapitulating Jacques Rancière’s critique of Debord's theory of the spectacle in The Emancipated Spectator, Johan Hartle’s lecture will critically assess the importance of Debord for the present and point out some basic tensions of contemporary social criticism. It’s not a matter of life or death but existence. In this lecture choreographer Mårten Spångberg will open up his work through a problematisation of aesthetic experience in contemporary Western society, reanimating a Kantian project in order to bypass engaged art practices and neoliberal forms of instrumentalisation. Departing from 2004, Rancière's Emancipated Spector and aesthetic sensibility, a pathway will be opened to connect with Lyotard’s approach to aesthetic experience producing a rift in the post-structural obsession with conceptual practices, cognition and critique in favour of art as concept, sensual affirmation and embodiment. Thus sketching a speculative dynamic to aesthetic practices, in particular in respect of omnipresent capitalism and relational value. A dialogue in several parts by Maaike Gouwenberg & Joanna Zielinska, interspersed with visuals and a live performance by Richard John Jones with additional voices by Robertas Narkus, Gerard Ortín and Aki Spadaro, on piano. Beamclub screening of artist films compiled by Gouwenberg & Zielinska: Der Schlamm von Branst – Jos de Gruyter & Harald Thys, Vision Verticale – Marvin Gaye Chetwynd, The Saprophage – Nathaniel Mellors, It Takes Tea To Tango – Uta Eisenreich and more! The prolific Polish artist Tadeusz Kantor (1915-1990) was a painter, stage designer, poet, actor, and 'happener', he made a name for himself as a man of theatre, but he remained first of all a painter who thought with images and used actors and props instead of paint. Tadeusz Kantor was an independent and uncompromising artist. His eclectic work thrived on conflict; he never refrained from provocation. He wanted art to be ‘useless’ and ‘autonomous’. Considered a ‘heretic of the avant-garde’, he left a substantial oeuvre of theoretical writings, works of art, costumes, stage scenery and theatrical objects. In 1980 Tadeusz Kantor established Cricoteka a ‘living archive’ of the legendary Cricot 2 Theatre wich he had founded in Kraków in 1955. The nature of Kantor’s output and possible ways of presenting it in a museum are still among the key concerns for Cricoteka but today these are viewed from the perspective of contemporary art discourse and new methodologies. With the two examplary projects that they will highlight today, Zielinska and Gouwenberg try to bridge the gap between the space of the theatre and the space of the exhibition, featuring a variety of artists strategies to activate both domains. 'Radical Languages' suggests and proposes possible interpretations of Kantor’s creative output and places them in the context of contemporary art discourse. 'Nothing Twice' tackles the double nature of the object as both a prop in performance and an autonomous artwork. In other words: the issue of the materiality of performance and the staging of the exhibition space itself. Gouwenberg and Zielinska's dialogic lecture will culminate in a performance by Richard John Jones, based on a previous sculptural work that comprised of 4 costumes displayed on mannequins. The lecture now quickly moves off-piste involving cabaret and theatre formats, additional voices and strategies of modernist narrative performance. As the lecture form breaks down completely, multiple stories and references lay bare the act of relating a story from one context to another and the formation of a narrative as an inherently performative act that primarily defines the audience to which a speaker responds. Throughout, there is a consideration of the title of the original sculptural work “Develop Your Legitimate Strangeness” which is explored, through anecdote, as a possible conception of freedom. Over the last decades, French philosopher and playwright Alain Badiou has become one of the main reference points within art theoretical discourse as regards the revolutionary potential of art, as well as its possible intersections and confrontations with politics. From an inspection of the broad framework of Badiou’s philosophical project founded on the conditions of politics, art, love, and science, we will zoom in on his consideration of the theatre, which he analyzes as an intersection of bodies and languages, in a continuous confrontation with the state. This point of tension between state and theater will lead us, finally, to look at the theatrical work of Dutch artist Jonas Staal, and the ways in which he employs theatrical settings to reinvent what the state could or should be. In 2012 artist Jonas Staal founded the artistic and political organization New World Summit; one year later, this was followed by the New World Academy (with BAK, basis voor actuele kunst, Utrecht). The New World Summit creates "parliaments" - large scale architectural constructions in theaters, contemporary art institutions and public spaces - where stateless political organizations are invited to speak. The emphasis of the New World Summit is on groups that are dealing with terrorist blacklisting, and are such rendered stateless and placed "outside" of democracy. Through the space of art the New World Summit opposes these politics of exclusion and attempts to redefine the practice of a fundamental "limitless" democracy. The production Labyrinth is based on the experiences of refugees during their asylum procedures. It allows the theatre audience to experience what it is like to become entangled in a bureaucratic web of endless waiting, interrupted only by interviews and petitions. Labyrinth seeks to present the debatable search for the truth. Whose truth are we seeking here? And how do prejudiced truths translate into language and procedure? In the waiting room, people prepare for an uncertain search for the recognition of their existence. Prior to the re-enactement of one scene, especially staged for the Rietveld Academie, Lara Staal from Frascati in Amsterdam will briefly elaborate on the urgency for a theatre space to program a piece like this. 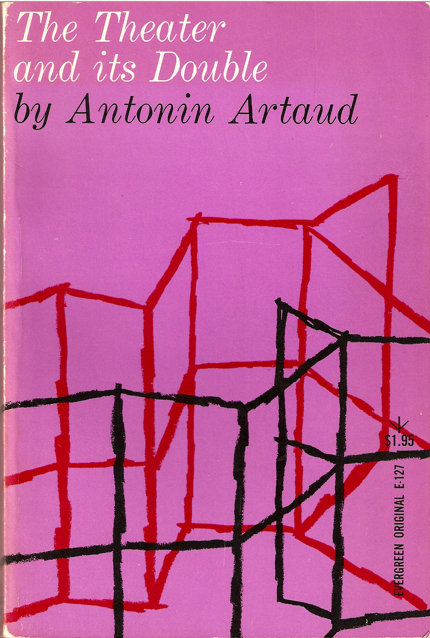 In his continuing and interchanging work as performer, writer and visual artist, Antonin Artaud experimented with a kind of differently articulated language, described by him as ‘somewhere between gesture and thought’. Whether acting Marat inside a hot bath, taking drugs and drawing his friend and poet Jacques Prevel, or writing about Vincent Van Gogh, the activations of language were for him mostly bodily oriented. Artaud envisioned a practice of the speaking voice, whose vocabulary was not subjugated to the written rational word. During this talk Arnisa Zeqo intends to navigate through some specific texts and drawings, the performativities of Artaud’s body of work and some resonances to the current re-evaluation of performance art. 'Some are born posthumously.' The famous statement by Nietzsche from the Foreword to The Antichrist can easily be transposed to the life of Antonin Artaud. First and foremost ‘Artaud’ means the figure of Artaud. A figure that is best known through the features that other writers, translators, editors, actors and directors have etched into his death mask after 1948. In this talk, Thomas Crombez will examine how the figure of Artaud has served as an icon for artists and writers after the Second World War. He (or rather, his work and biography) was instrumental in the post-war surge of ritualist art, neo-surrealism and outsider art. What was so attractive about this suffering man, who was already dead for several years when his collected works first became available to a larger audience? Why was the figure of Artaud so vital to the sensibilities of neo-avant-garde art? 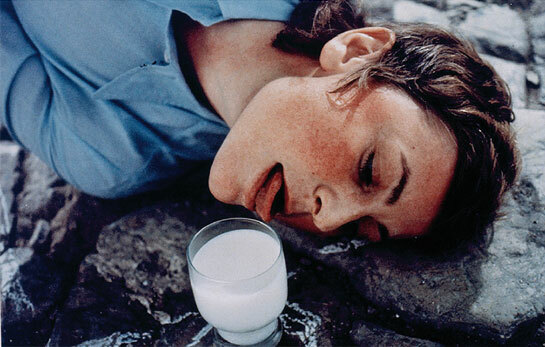 Gina Pane (1939 – 1990) was a French artist of Italian origins who was well known for her radical performance works of the 1970s. Her complex and varied practice also included abstract painting, sculpture, drawing and photography. Teresa Maria Díaz Nerio and Stefanie Seibold will revisit their collaborative and critical re-reading of a performance work by Gina Pane performed at the Stichting de Appel, Amsterdam in the year 1975. Their deliberately partial re-construction entitled Matt und Schlapp Wie Schnee consists of videos, sounds, photographs, drawings, texts, costumes, props, live-acts and books from which they will present single elements to form an associative commentary on this complex work which was based on a long-term artistic-research project. Carnival is of course not so much a phenomenon to study, but an event to take part in. But when Mikhail Bakhtin’s writing about Carnival as a category of social being became known in the 1970s, his concept of the carnivalesque became hugely influential and opened perspectives of both thought and practice in a range of fields. Carnival emerges from Bakhtin’s thinking not as a simple folk festival, but as a social practice, that uniquely combines an aesthetics (the grotesque) with a strategy (reversal and debasement) and profound effects on the social body. In this lecture Florian Guottke will explore the potential of carnivalesque strategies for (puppet) theatre, art and the politics of the street. 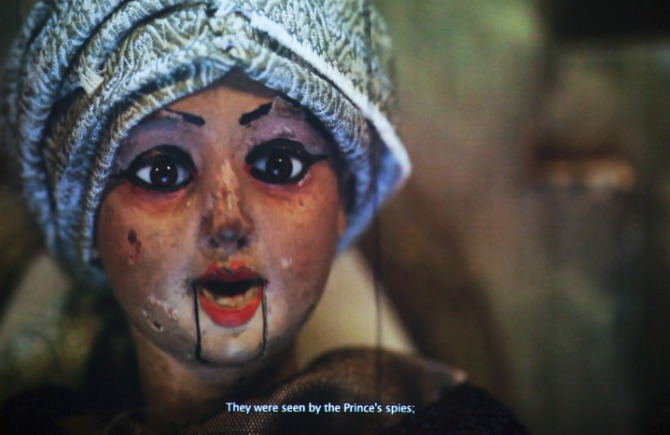 Wael Shawky is one of the most acclaimed artists working in Egypt today. Using a variety of media, he is interested in how history, religion, myth and the effects of globalisation are shaping society, more particularly that of the Arab world. This presentation introduces the artist’s main concerns and strategies while contextualising his practice within a broader framework of geo-politics and representation. It will focus particularly on his use of puppets and other theatrical tropes, such as in his film trilogy Cabaret Crusades (2010-2014). Artist Jompet Kuswidananto, is well-known in Asia for his fascinating groups of life-size mechanical figures in the form of parades, which come into action like a real orchestra at set times. With the public always at their center, his works show a constantly changing world and the way in which the identity of individuals and groups change with it. This year's project will consist of two parts; an in-house theory and practice based educational program in January, February and the first two weeks of March when a wide variety of people from various disciplines and creeds will take the floor of the gym to share their knowledge, intuitions, ideas and questions with the Rietveld students while over that same period experimental costumes, props, theatrical installations, stage designs, scripts and performances will be developed by the students themselves. This year's overriding theme "ARE YOU ALIVE OR NOT? 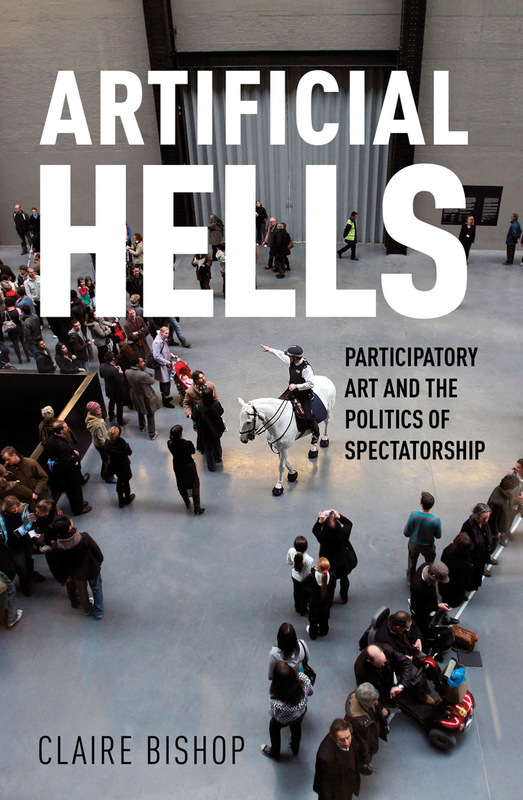 Looking at ART through the lens of THEATRE" takes it's inspiration from a wish expressed in the introduction to Claire Bishop's wonderful, in-exhaustible book Artificial Hells - Participatory Art and the Politics of Spectatorship. Bishop writes: "It is hoped that these chapters might give momentum to rethinking the history of twentieth-century art through the lens of theatre rather than painting or the ready-made.". And this is exactly what Studium Generale and Uncut are going to do: delve into participatory art and the notions of spectacle and spectatorship, but extending this exploration with introductions to theatre theory as well as performative art practices since the beginning of the 20th century. March 18, 19, 20, 21 and 22 we will leave the academy for a five-day curated exhibition & conference-festival at the Brakke Grond, Flemish Arts Centre in Amsterdam. Here, the Rietveld community and the general public will engage with unique and invigorating perspectives on the matter at hand. Guest curators are invited to inaugurate their special day-program with a vivid line-up of speakers, performers and screenings. Studium Generale Rietveld Academie is a rambling, cross departmental and trans-disciplinary lecture and performance program with an annually changing, overarching research theme, addressing students at the of the Gerrit Rietveld Academie in Amsterdam, as well as the general public.